Brace yourselves, long post ahead – it’s a 10 mins read, but of priceless value. 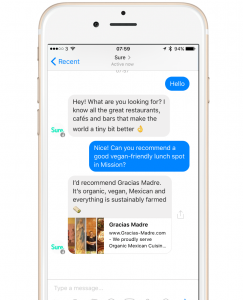 We are happy to announce that, Exponea.com is the 1st marketing automation platform to be fully integrated with Facebook’s Messenger chatbot. And because we believe in the power of this new feature, we want to share 50 ways of how brands can use it. With people choosing instant messaging over calls and SMS, and with the development of chat platforms that resemble an office (e.g. 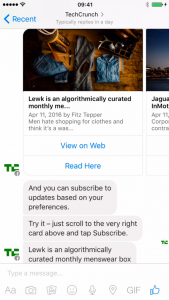 Slack) there is no wonder Mark Zuckerberg made Facebook’s Messenger chatbots a key point at the F8 conference. By doing so, he acknowledged what we had long known: messaging is the number one way people are connecting today. What is more interesting is that people have started using messaging in communicating with brands; many actually prefer a direct, instant message via Facebook messenger to other channels. 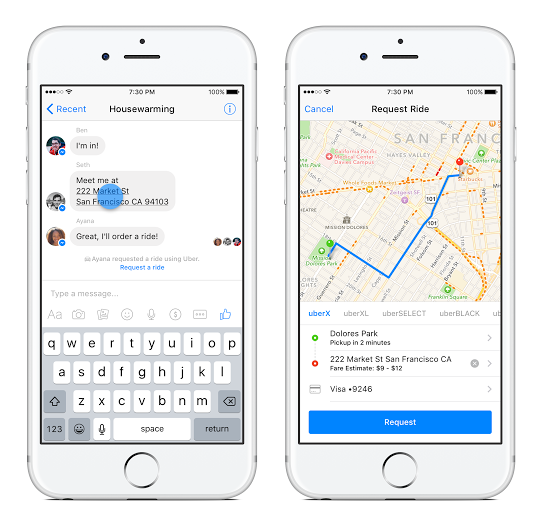 To support this new trend, Mr. Zuckerberg has made Facebook Messenger an open platform for developers to build new channels allowing brands to start conversations with potential customers – chatbots. 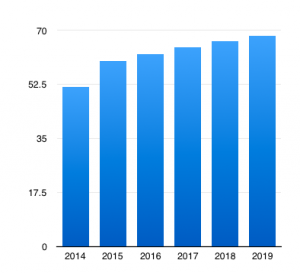 According to eMarketer, messaging app user penetration is projected to exceed 68% by 2019. Human assistants out, bots in. Even though they do not represent a new concept, they were not in the spotlight until recently. “Bots can provide anything from automated subscription content like weather and traffic updates, to customized communications like receipts, shipping notifications, and live automated messages all by interacting directly with the people who want to get them,” says David Marcus, VP of Messaging Products. Chatbots represent a whole new era of human and machine interaction and they will certainly bring sweeping changes to many customer experience programs, especially those offering social customer service. Chatbots can be developed on any conversational platform and many companies, like Facebook, have already seized (or are planning to seize) the opportunity. Other platforms might include: Slack, Zendesk, Skype, Telegram, Kik. The idea behind a chatbot is very simple and powerful: develop a bot which can answer questions or do administrative tasks on your behalf. The tasks and use cases can be numerous and from across categories. We have prepared a curated list of 50 use cases for bot deployment by brands for you to draw inspiration from. News bot – Sends personalized breaking news or specific stories from a specific website, every day, in a private messenger message. 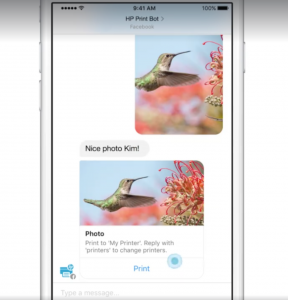 Printing bot – Gives people access to their photo galleries from their messenger app and lets them choose which pictures to print instantly. 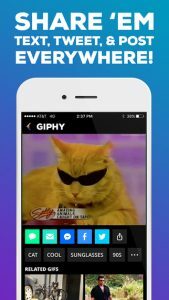 GIFs & Video bot – Helps people search for or create their own GIFs and videos and send them to messenger friends. 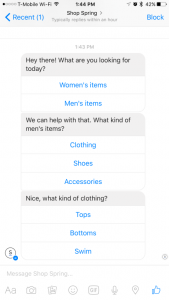 Personal shopper bot – Speaks to customers to help them effortlessly shop different products within a company. Gift Assistant bot – Helps users pick a gift for a specific occasion and person. It can suggest even specific products on different websites, within a price range. Grocery bot – Helps customers pick out and order groceries for the week. Life advice bot – Similarly to a search engine, provides answers to specific life situations (e.g. changing a flat tire, finding low-cost flight tickets). Cooking bot – Offers various recipe ideas based on user’s queries and preferences. 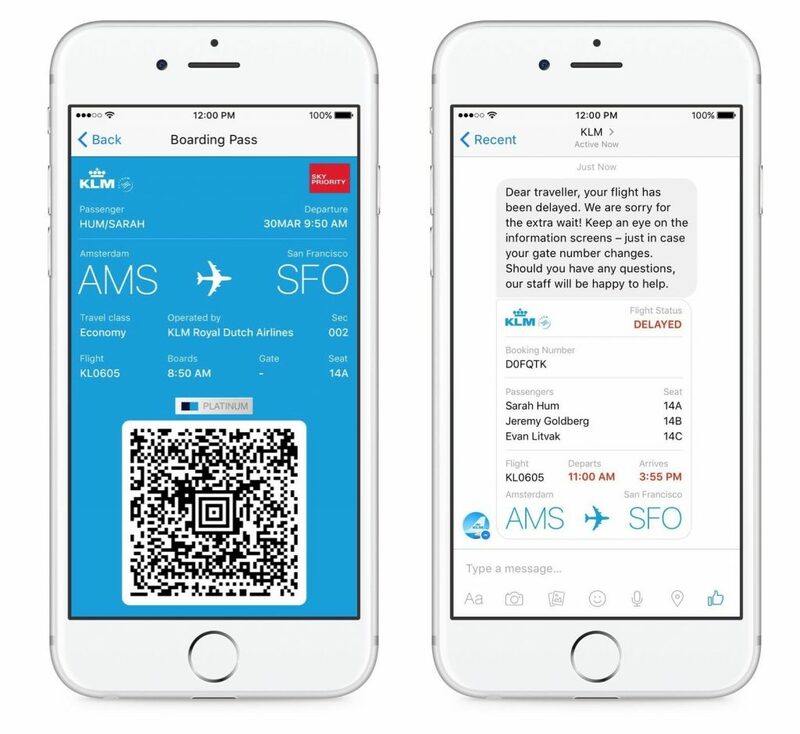 Flight assistant bot – Sends flight documentation – booking information, check-in notification, flight status updates – to users. Taxi bot – Can order a ride with your favourite taxi provider or a larger range of companies. Legal assistant – Offers legal assistance, price quotes and other advice to people who are opening a business and who already have one. 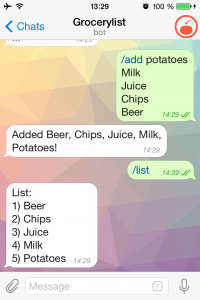 Eat and drink bot – Helps people decide what restaurant or bar to attend according to their preferences and location. Social CRM bot – Enables businesses to tie live chat interactions or social messages with their backend CRM and Ad activities, and thus to have access to holistic customer behaviour reporting. Want to build a Social CRM bot? Now it’s possible with Exponea tool. Meeting scheduling bot – Allows users to schedule a meeting within a team by syncing the calendars of all of people involved. 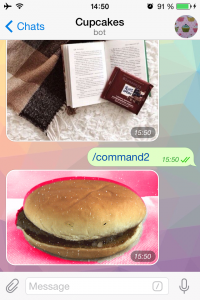 If there is no free time, the bot will make other suggestions. HR Personnel Bot – Acts as a virtual employee inside a recruiting company, helping other employees submit timesheets, call in sick, submit vacancies, apply for a job, or request a vacation. Resume bot – Allows job seekers to submit their CV/resume to potential employers and headhunters. Booking projects bot – Helps specialists and entrepreneurs to get new meetings if someone is approaching them through Facebook Messenger. The bot will send a visual representation of the service, price and conditions. Virtual agent bot – Answers any question asked on a digital channel. If it cannot find the proper answer, the bot will assign the question to a specific team within the company. Scrum/stand-up bot – Sends daily stand-up reminders to teams with 3 simple steps: 1. What did you do yesterday? What are you planning today? Is anything stopping you? As a fast-growing company ourselves, we at Exponea.com understand how important it is to be where the potential clients are and to spark conversations with them. We are proud to have become the first SaaS platform to offer full integration with Facebook Messenger and a build-your-own-bot feature. From now on, our clients can, directly in the Exponea tool, build bots that will take care of their brand’s communication in any digital channel for them. Designing multiple scenarios and pre-defining answers according to specific contexts has never been easier. Here’s your chance to become one the first masterminds in the world to test the power of chatbots.